A representative will be at your school to answer questions, show samples & take orders. The best time to order is during order day. Take advantage of packages and offers only available at order day! Completed Order Form. Need one? Download HERE. Deposit or payment in full. $40 deposit is most common but, we can take any amount including zero down. Any remaining balance is invoiced and billed later. Payments can be made online at anytime before delivery this spring. Celebrate your senior year! Get everything you need and want for graduation! 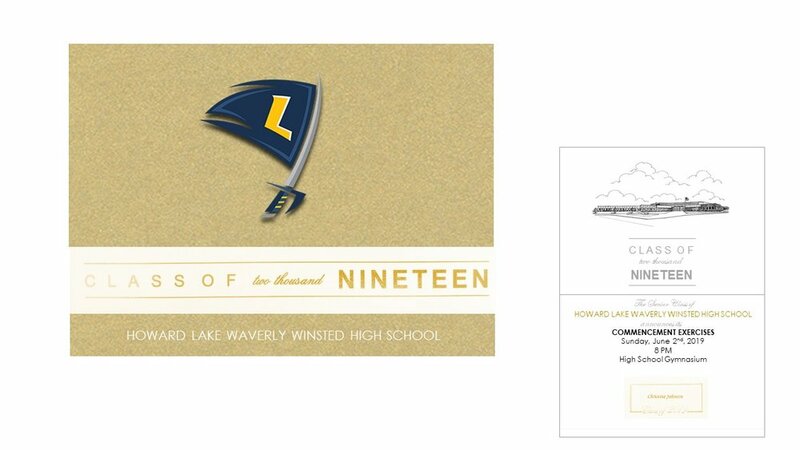 Features school colors, gold foil accents, graduation commencement details, school etching on metallic gold cardstock. Given to those attending your graduation ceremony and/or close family and friends. Order an extra for a keepsake. Photo card invites for your grad party - choose from a variety of designs! HLWW mascots available on most designs. For Grad Party planning tips see below. Placed inside your graduation announcement to personalize to the student- most use full name including middle. Foil will be gold to match announcement. Thank your biggest supporters & those that give you graduation gifts. Assorted designs and colors available. 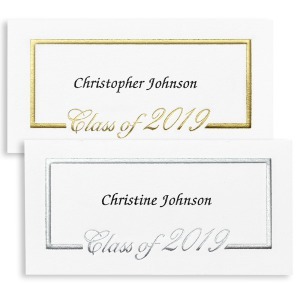 Make sending announcements and grad party invites a breeze with graduation return address labels! Gold to match announcement. 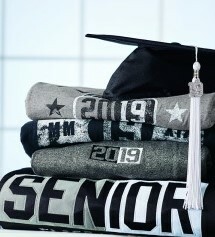 To shop Class of 2019 apparel & gear and to see other options and items available, shop at jostens.com by clicking grad essentials below!! 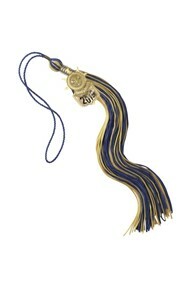 Extra tassel for Grad Party decor or keepsake. Most seniors completed this form during the senior assembly. Only complete the form below if you missed the meeting. Measurements should be as accurate as possible to ensure proper fit. The length of your gown is determined by your height. The fullness of the gown is determined by your weight. Orders are submitted as an entire class, so you will not receive an individual confirmation. Thank you for your cap & gown submission! You will receive an email confirmation once the entire class order is submitted. Congratulations - enjoy senior year!